Pope Francis is in the country today. Honestly, I was never one to follow news about religion or anything related to it. Reading about how people have been moved to tears because they saw him baffled me, that is until this morning. This morning, I was watching his mass at Tacloban and for some reason, I found myself in tears. I was humbled by how the people of Tacloban showed faith in spite and despite the many hardships they have endured for the last 2 years. They have gone through typhoon after typhoon and yet, there they were, smiling and waving and keeping their faith. I was humbled by what the Pope said to them as well. I felt that in a way, he was speaking to me as well and reminding me that though things are not okay, it will be okay. Have faith. My problems are so tiny compared to theirs and they managed to have faith still. Who am I to not have faith? Who am I to question and feel frustrated with my problem when I have a roof over my head, food to share, clothing, and I am safe. Yes, I may not be in good health but that's the only thing that is on my list of things to worry about. Aside from that, I have been so blessed time and again. 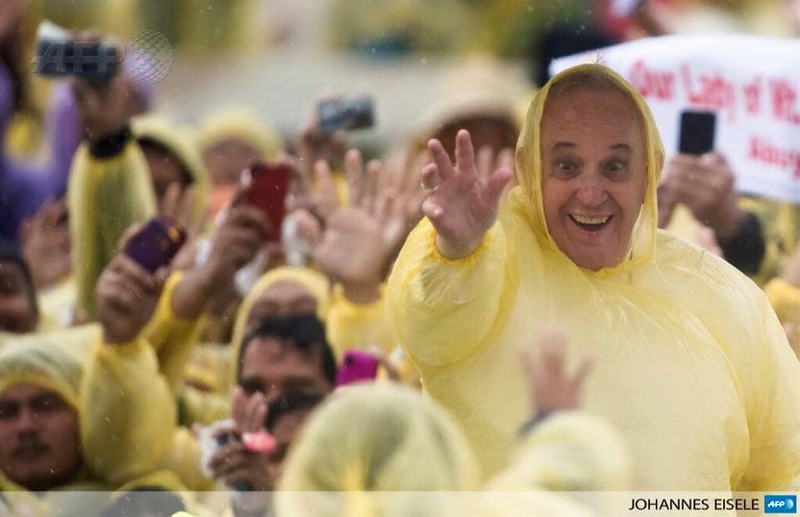 Thank you Pope Francis and the people of Tacloban for making me realize that I need to have faith. If they can hold on to their faith, then I need to learn to hold on to it as well.